Nutella was created in the 1940’s by Pietro Ferrero. War rationing meant that cocoa was in short supply across Europe, so Pietro Ferrero mixed cocoa with toasted hazelnuts, cocoa butter and vegetable oils to create an economical spread of chocolate. Reformulated in 1949, this variety was both inexpensive and spreadable, which was a great plus-point. 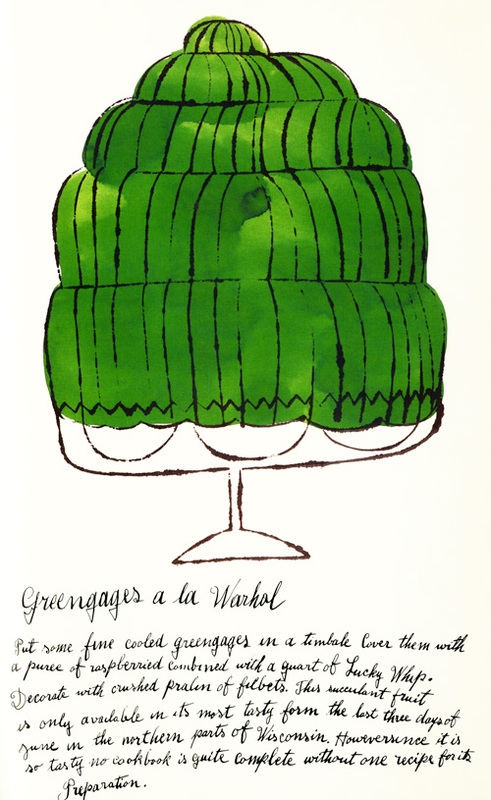 It enjoyed enormous success and in 1964 was renamed ‘Nutella’ and marketed outside of Italy. Nutella comes in an oval-shaped jar. The bold label contains both black and red letters! 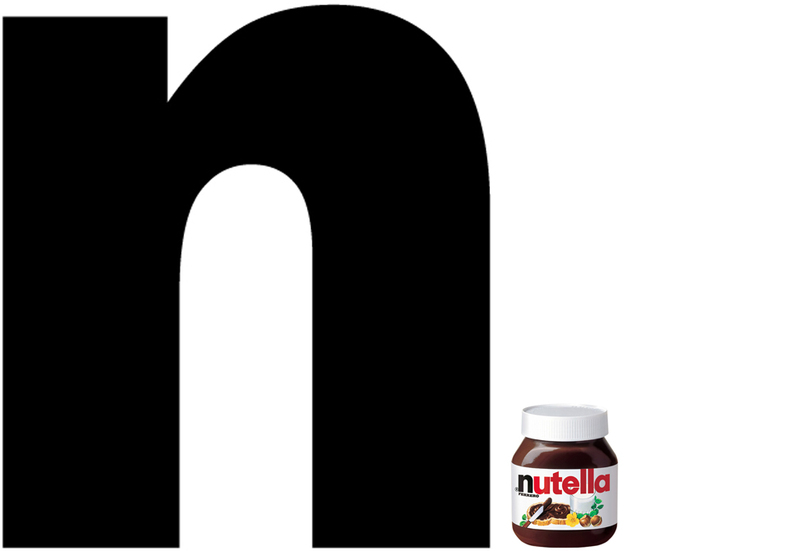 The “N” is designed to draw attention to the nuts in Nutella! But look how this solution draws so much attention to the name and makes this mark memorable. So why is this on our mind today… well today is “World Nutella Day”. I was talking about the duomo in Orvieto, Italy… at least that’s how I remember the subject coming up… the stone striation of the façade. Alternating courses of white travertine marble and green-black basalt. And then coming into focus, right in front of me was my beer glass on the bar. 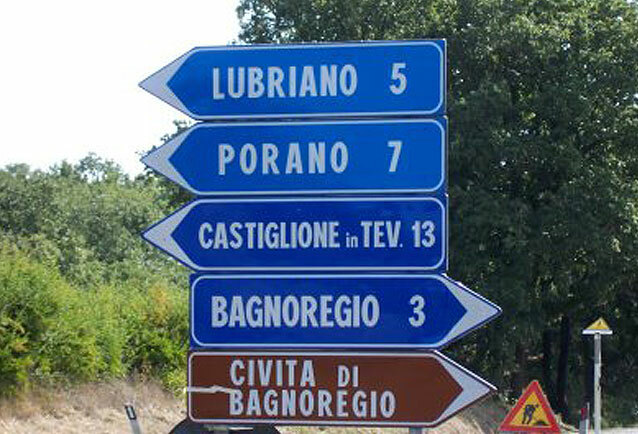 The subjects couldn’t be more despairing but the designer saw a parallel. A little like the practice of Zen… lettering go of outward meaning… seeing fresh non-tangent connections. So why the picture of the beer with tick-marks? Red, juicy, lusty… well actually not all of them are red as you can see… there’s the Green Zebra and the Lemon Box, and the Chocolate Cherokee. An old pink variety, meaty with few seeds, is called the Mortgage Lifter. Folklore says M.C. Byles who created this variety used it to literally pay off his mortgage during the great depression and save his house from foreclosure. When I tell my East Coast friends that I frequent Issaquah WA… they ask if I’ve ever had a rough and tumble with Sasquatch, or if I have an ounce of city boy left in me. I let them imagine Big Foot stomping around and that my gourmet tastes have turned to road kill. The fact of the matter guys is that these days Issaquah is half asphalted and its most popular destination is probably Costco (a parking lot full of customers waiting to get cheap gas). So why Issaquah? I have a dear friend there and whenever possible we beeline it to the Issaquah Brew House, which is part of the Rogue Nation of breweries. Rogue has a dozen locations from San Francisco to Issaquah, headquartered in Newport OR. What it is about jets of water cascading into the air from a simple fountain that suddenly puts one’s spirit at ease? Friends were over for dinner last night… not the Facebook kind, the neighborhood kind. It was an unusual day at work because I made a pasta sauce while I called on clients and did layout designs for the Sumner School District calendar. It really made me think about what we mean when we say “multi-tasking”. Many times the tasks are so similar that they are undistinguishable from one another. Stirring a pot, smelling the garlic and saffron both complimented and contrasted the design work at hand. No one complained about my cooking until I took it home and the aroma left with me. Since I’m here I’ll leave a recipe of sorts. It’s not a formal recipe per se… as is often the case I just combined ingredients as I went along. This frustrates my family since they can’t return to the exact meal… but it’s about the moment.